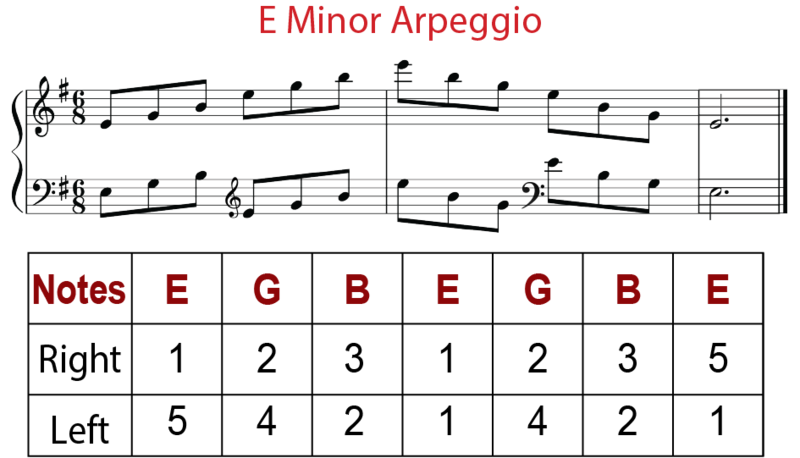 Last week we spoke about arpeggios, also known as broken chords, and how prevalent they are in my own music. We used the key of E minor as an example. Today we are going to expand a bit on hand patterns. As you may or may not know, I’m left handed and the left hand is the engine of a lot of my pieces. I also see patterns when I look at a keyboard. As I was writing the music for my song ‘Dark Night of the Soul’ I saw patterns emerge in that piece, starting very simply and then expanding using varying accompaniment patterns in the left hand. So as you can see, this pattern uses some of the same notes found in an E minor scale, and some in an E Minor arpeggio. The difference is the order and patterning of them. These notes are the root/tonic and the dominant of the E minor scale/arpeggio. With the exception of F#. That is the second degree of the E minor scale also known as the supertonic. These notes are the root/tonic and the dominant of the C Major scale/arpeggio. With the exception of D. That is the second degree of the C Major scale also known as the supertonic. The notes include the degrees of the scale Root/Tonic, Dominant, Mediant. Keep practicing these left hand patterns in E minor and C Major. Try practicing them in different octaves too. Start slow and build your speed gradually. Before you know it, you’ll be able to play these patterns with your eyes closed. 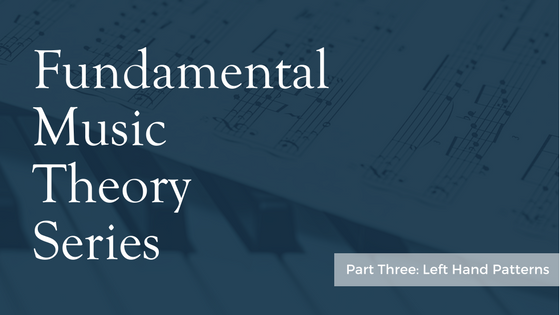 Next time we’ll discuss some more fundamentals of music theory as it relates to my music.